Be sure to check new posts in this thread! Other forum members, as well as myself, regularly post about news, deals, and new devices! What is a flash cart? In short, a flash cart is a video game cartridge that will allow you to play games (ROMs) on real hardware. 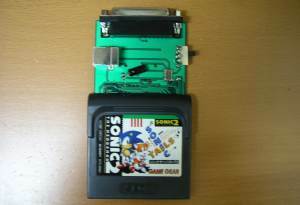 In most cases, playing a game from a flash cart is identical to playing the actual game cart. 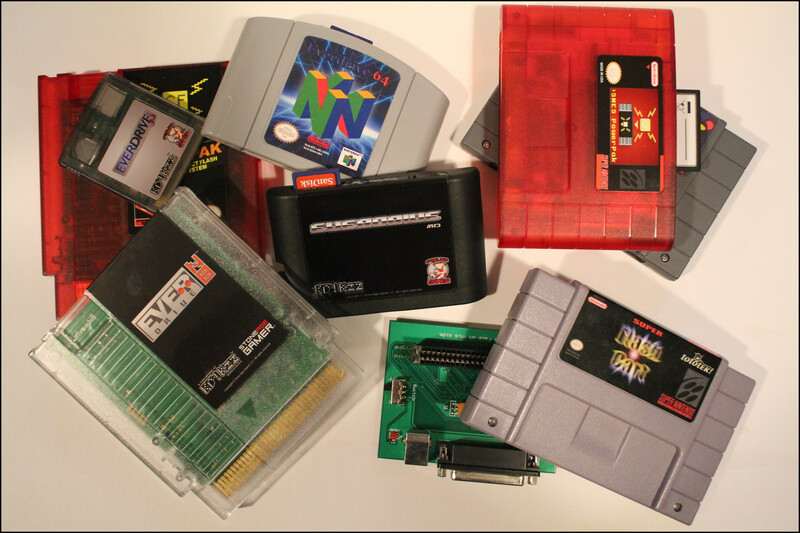 Flash carts can vary in features between models, each with their own pros and cons. Flash carts exist for many popular retro consoles. Most flash carts are extremely easy to use. All of the newer flash carts have the games stored on memory cards, such as SD or CF. It's as simple as this: Load some games onto a memory card, insert the memory card into the flash cart, put the flash cart into your console and play. Older flash carts did not have removable storage. Instead, they had internal memory in which to store the games. They required a programmer to flash games to the cart's memory. You'd plug the programmer into your computer (usually with a parallel cable), plug the flash cart into the programmer, then use software to write the game(s) to the flash cart's internal memory. So the programmer can be thought of as a card reader, like the kind you'd use for an SD card. Flash cart developers are taking advantage of using removable media by having the cart load operating system or mapper files from the memory card. This means they can release updates (add new features, fix bugs, etc) and updating to the latest version is super simple. Just download the new version, copy the file(s) to the memory card (usually overwriting the old files) and the update process is done. This is important because it gives us the ability to add features to the flash carts that weren't implemented at the time of purchase. A lot of flash cart developers also make it possible for the community to tweak the OS and firmware. Examples of this will be noted in the reviews. This can range from simple things like better looking or more intuitive menus, better game compatibility, to added features such as the ability to play FDS games from a NES flash cart. Since updating and adding features is possible, it can become confusing when trying to compare different models. You might read a review or comparison that was made before a major update that added important features. This write up that you're reading now will become out of date, although I'd like to try and keep it up to date as new updates and new flash carts come out. You should note the date an article or review was posted or last edited, and compare it against the date of the latest update for any particular flash cart. Even then, that doesn't guarantee accuracy of information. What are the main benefits of a flash cart? Flash carts have a lot of benefits. For the vast majority of us, the main attraction is being able to download ROMs and play them on real hardware instead of in an emulator. This alone has a lot of benefits. A lot of retro games are becoming expensive, too expensive for some people. A flash cart becomes a way for people to play games that they couldn't otherwise afford. Or let's say you have deep pockets and can afford all of the expensive carts. You could use a flash cart to try out games before you purchase them. Or perhaps you just don't have the room for big collections. Or you have big collections at location X, and you don't want to transport them to location Y. Or you're just too lazy to physically switch carts. Then there's the development side to flash carts. There's people out there that like to program for retro consoles. Homebrew and whatnot. Flash carts can be a great tool for them as a way for them to test their code on real hardware. And a great tool for you as a way to play their games, and on real hardware. https://krikzz.com/store/ - A direct link to the Krikzz Store. This is the maker of many of the flash carts that are currently on the market, and this is his official store. Also note that Krikzz has made some of his flash carts available on Amazon. http://krikzz.com/forum/ - Official Krikzz forum. Here you can find lots of great info about the flash carts, get help if you may need it, or get a sneak peak on upcoming updates and new devices. https://stoneagegamer.com/ - A great store that sells lots of flash carts as well as other devices. They have a great service and come highly recommended. I've purchased from them several times in the past and have been very pleased each time. http://retrorgb.com/romcarts.html - A page which lists many flash carts. http://www.retrocollect.com/Guides/ulti ... es.html#XL - Same as above. http://atariage.com/forums/topic/127752 ... l-systems/ - Same as above. EverDrives and SD2SNES - ROMs, Hacks, & More on Real Consoles / MY LIFE IN GAMING - My Life in gaming YouTube channel posted a video about console flash carts. If you haven't heard of them before, these guys make excellent videos! Portable EverDrives - ROMs, Hacks, & More on Handheld Systems / MY LIFE IN GAMING - Same as above, but this video focuses on flash carts for handhelds. Super UFO Pro 8 - ROM Dumper & Flash Cart for SNES / MY LIFE IN GAMING - A review of the Super UFO Pro 8. This is a device that has an equal number of pros and cons, but worth checking out! I'm going to attempt to write a sort of review for all flash carts that are currently in production and available for purchase. The point of the reviews are to more or less list the major pros and cons of each cart, as I see them, so that some one can make an informed decision of which model to purchase. The reviews are written in such a way that you should read through them in order (for any particular console). I'm going to try and stay away from the tech heavy info, for the people that aren't tech-savvy, but it will be necessary to talk about some tech specs in some instances. I'm not going to try and cover every square inch of every cart, but I will go into detail on the pros and cons I chose to list. I will give you my verdict on my top pick for each console, but you're still encouraged to investigate further. I'm not all-knowing. As I've said, today's flash carts are easily updated. The information found in this write up will become outdated time and time again. I will try and keep it up to date, but I suggest you do your own homework in case the information here isn't accurate or up to date. You should at least check the date this write-up was posted or last edited, and compare that against the date of the last update for a flash cart. I've included a link to the homepage for each flash cart so you can get more info there (and possibly updated info). These links will usually have a lot more info that what I'm listing here. For example, most of links to Krikzz's flash carts have demonstration videos. I'm going to list prices for each flash cart. The prices are, as far as I know, the cheapest they are available when buying new. All prices are in USD, and do not include any tax or shipping costs. If any one has any thoughts to add, any questions, finds any outdated information or just anything that isn't correct, please let me know! If you want to review a flash cart yourself, let me know and I'll post it here! • I think the only noteworthy thing about the NES, concerning flash carts, is that there's a LOT of different mappers for games. Flash carts have to find a way to support them all, which I'm sure isn't easy. For a while, I believe this was the only flash cart option for the NES. It's pretty standard in comparison to today's flash cart. You load the OS and some ROMs on a memory card, put the memory card in the PowerPak, put the PowerPak in your NES and play. One HUGE benefit of this cart, in my opinion, is that it's made using ALL new parts. A lot of flash carts today, you need to rob the cart shell (and possibly other parts) from a real game. The PowerPak uses a brand new custom cart shell, as well as all brand new parts inside. No NES games are harmed in the creation of a PowerPak. The red semi-transparent shell also looks cool. : ) Why does this matter? Read my thoughts about preservation below this post. I wont bother going into detail about game support. If you want to know, go to the PowerPak page on Retro Zone's site (linked above) and check out the supported mappers table. Check out this mapper list, the numbers in parenthesis are the numbers used on the compatibility table. edit: I've read that the mapper support table on the Retro Zone website isn't up to date, which might make things a little confusing. Support for Famicom Disk System (FDS) games is amazing. For years I wanted to check out some FDS games, but never wanted to bother with the hassle of owning the FDS add-on. The console and disks are not reliable, and the cost and rarity of them outside of Japan is another factor. The few FDS games that I tried on my PowerPak worked flawlessly. To be clear about how it works, you only need your NES console, a PowerPak, and some FDS ROMs to be able to play FDS games on your NES. You would load a FDS game the same way you would load a NES game. Considering the cost and hassle of an actual FDS, the cost of a NES flash cart can be worth it just as a way to play FDS games. Since the OS/mapper files are stored on the memory card, they're easily updateable. Many updates have become available since the cart was first released. Both official and unofficial. The community has created some of their own updates for the PowerPak. For example, the member "loopy" from NesDev forums gave us Famicom Disk System support as well as added support / worked out bugs for various mappers. Loopy's additions were then added to the official mapper files. And the member "thefox" from the NesDev forums has given us save states for certain mappers. It isn't clear to me what exactly is included in the official mappers at this point. I know that the official mapper files haven't been updated in years. I know that they include some of loopy's work, but I'm not sure if it includes his latest updates. Best bet is to copy the latest official mappers to your CF card, then copy loopy's latest mappers over it. At least, that's what I've read. UPDATE: The Save State Mappers have been updated and rebranded to PowerMappers. This mapper set gives you the ability to use save states for 15 different mappers. It will allow you 5 slots per game, per save state file. When you load a ROM, you choose a save state file to load with it (which allows you five slots). Even if you don't care about save states, you might consider this mod for the in-game menu. The in-game menu is where you save and load states, but it also allows you to reset the game or return to the PowerPak menu. So you can reset and power cycle without ever having to get up! Another huge benefit of the save state mappers is the way they work. They read/write directly to the CF card, no holding down reset required. Best part is, they capture SRAM. So normally you'd have to hold down reset to back up your SRAM (see below), but if you use a save state it'll save directly to the card. What's more, the in-game menu is very useful for SRAM saves as well. When you're playing a game that uses SRAM, when you select to return to the PowerPak menu from the in-game menu, it'll go to the screen that lets you back up the SRAM to the CF card. So either using save states or the in-game menu, you don't have to hold down reset to back up saves. The PowerMappers have some cons, however. Some mappers might be a little buggy. Game Genie codes are ignored. I rarely use Game Genie codes on the NES, so this didn't bother me. But I'll show you a little trick. First make a copy of your POWERPAK folder on your CF card, then rename the copy to "[OLD]POWERPAK". Then copy the PowerMappers to your original POWERPAK folder. Now, if you ever want to use Game Genie codes, just rename the folders. The one that is named simply "POWERPAK" is the one that'll take effect. All the cons I can think of for the PowerPak aren't HUGE, they're more just annoyances than anything else. None of these cons get in the way of actually playing games, but since other NES flash carts are on the market, we have to consider them. 1.) The PowerPak uses a CF (compact flash) card. CF cards and card readers are readily available today, but just not as common as SD has become. Retro Zone claims that CF means faster loading than SD, sighting parallel versus serial interface, but we now have flash carts that use SD and load games just as fast if not faster than the PowerPak. Some people find having to use CF cards annoying. I personally don't mind. Most people already have SD card readers (they're built into a lot of modern laptops) but might not already own a CF card readrer. You have to be careful with CF cards, the sockets have pins that are pretty fragile and easy to bend if you jam a card in there wrong. SD cards are a lot more durable, there's no risk of bending pins. 2.) The most annoying con, in my opinion, is the way SRAM saving works. The PowerPak will not create save files for you automatically. You have to download a blank save file from Retro Zone, you download just one and duplicate it as needed. For each game that uses save RAM, you have to manual rename a blank save file to exactly match the file name of the ROM (you have to do this on the computer end). If you have a ROM and save file with matching file names, the PowerPak will automatically load the save file for you when you select that game. A lot of people like to have a console's entire library available on their flash carts. So obviously, having to add all the save files for each game (that requires one) becomes tedious work. I don't like to do this, I like to put ROMs on my cart as I play them, not 500 games all at once. So for me, having to manually add SRAM files is not a big deal. Especially since there's not a whole lot of NES carts that save. But still, it's a manual process and an annoyance. Edit: For those of you that wish to set your PowerPak CF card up with every game and save files for all the games that require them, there are some shortcuts. For example, some one created a tool that will auto create a save file for each ROM found in a folder that you point to. So the PowerPak wont automatically create save files, but what's even worse is that SRAM is not written back to the CF card automatically! This is easily my least favorite part of the PowerPak. When you're playing a game that uses SRAM, before you shut the console off, you have to hold reset for 5 seconds then choose an option to backup the SRAM to the CF card. Failure to do this means your save file will not be backed up! The downside to all of this is that having to do things manual can be annoying. And since you have to manually back up the saves, there's the possibility of losing save data (like if the power goes out unexpectedly, or you simply forget to hold reset before powering off the console). The upside is that you can create multiple save files for each game, if you needed to. And since they don't back up automatically, if you accidentally delete a save file or save over the wrong slot or something, you not screwed. 3.) The PowerPak menus are VERY basic. Simple white text on a black background. You don't need flashy menus to play games, but the PowerPak menus can actually be hard to look at. I find it hard to browse my games folder. It's also hard to be descriptive with file names when you want to have multiple versions of the same game. Overall, the menus are very unpleasant. Some one was nice enough to create a new menu system for the SNES PowerPak, I'm hoping some one will come along and do the same for the NES PowerPak. 4.) ROMs are not alphabetically sorted. When you browse to your ROMs folder on the PowerPak, the games will just be in whatever order you put them on the card in. A fix is to download a sorting app. It's actually easy, it's just a small app that takes two seconds to sort your CF card. But it is an extra step that seems kind of annoying when other flash carts will auto sort games for you. The only other work around is to copy all the games at once. But this is annoying if you already have a few dozen on there and you want to add one or two. You'd have to erase all the games from the card, then copy them all back. 5.) There's no Famicom version of the PowerPak. This isn't really a con, but I suppose it's worth mentioning. Some people use a Famicom and not a NES. If you want to use the PowerPak on a Famicom, you have to use an adapter. The N8 flash cart comes in a NES and a FC version. 6.) There hasn't been an official software update for the PowerPak for some time now. If you download the mapper files from Retro Zone, the date modified shows 10/19/2010. Word has it that Retro Zone is working on a new PowerPak, so that's probably why we haven't seen any updates (he's also working on other projects such as his HDMI NES). But PowerPak owners are feeling a little abandoned. Luckily there has been a few unofficial updates, but the PowerMappers is the only update I've come across that's worth mentioning. Does any one know of any other unofficial updates for the PowerPak that are worth mentioning? Please share! It might sound like I'm being very critical of the PowerPak, but I'm not. These cons are relatively minor. It DOES play games (that it supports playing) and it does it well. I actually own the PowerPak myself, and I've enjoyed using it thoroughly. • All the features of the PowerPak and more! This overview of the N8 assumes that you have read above about the PowerPak. The Everdrive N8 basically took all my minor complaints with the PowerPak and fixed them, then added even more features! As far as I know, the N8 is capable of everything the PowerPak can do, plus more. The N8 uses SD cards, and can load games just as fast. SRAM (save game data) is backed up automatically, no need to hold the rest button to back up saves to the memory card. The only exception is FDS games, which you still need to hold reset to back up saves for (FDS games don't have a save file, they save inside the ROM). I haven't done a side by side comparison of the mapper support for both the N8 and the PowerPak, but at a quick glance, they look to support more or less the same amount of mappers. Check the link I gave above for the N8, there's a table on that page that shows mapper support. Check out this mapper list, the numbers in parenthesis are the numbers used on the compatibility table. The N8 offers save states on 28 of the mappers. To be fair, this ability was unofficially added to the PowerPak via the PowerMappers (see above in the PowerPak review). However, as of 3/1/15, the PowerMappers only support save states for 15 mappers. The upside is that the PowerMappers have an in-game menu system that works very well. You have save slots that you can save/load. The N8 has no in-game menu, and only one "slot" that you can save/load using a button combo. The N8 can optionally have a USB port for developers. This means being able to check code on real hardware much faster and much easier. This really only benefits you if you're a developer. If you just want to play games, you're better off leaving this option out and saving a few bucks. The N8 is available as both a NES and FC flash cart. The FC version uses brand new cart shells, available in several different colors. This is great since you don't have to steal the cart shell from a legit cart. It is unclear to me whether or not the NES version uses new shells, or stolen shells (does any one know?). If you buy direct from Krikzz, it looks like all of his carts now come in brand new cart shells. Krikzz updates the OS for his flash carts often. The PowerPak hasn't seen an official updates in years now. Outside of that, I'm not sure if there's anything more worth mentioning. Any one have any thoughts? What are some cons for the N8? This isn't exactly a flash cart, it's more appropriately called a drive emulator, but it works very similar to flash carts. It's equal parts flash cart, driver emulator, and backup device. I plan to put this here as well as the drive emulator section. • Holds 255 disk sides (128Mbit flash) with a built-in game selection menu. • Write games to FDSStick over USB, then connect to a FDS RAM adapter to play. • Push the button to change disks (once for side A, twice for side B, etc.) or hold to eject. • Leave the USB side connected to run games directly from a PC. • Read and write disks from an FDS drive with an adapter cable (not included). • Game Doctor disk format is fully supported. I got an FDSSTICK recently, I plan to do a full write up once I get a chance to use it. Until then, this YouTube video isn't bad. Just note that the user in that YouTube video has an older version of the stick with less memory. Which NES flash cart would I recommend? It depends. If you're going to be buying one new, today, obviously the N8 is the better option. It has more features and costs less money. It's also available in NES or FC form, so either can be used without adapters. The N8 is relatively new compared to the PowerPak. You might be able to pick up a PowerPak used from some one looking to upgrade to the N8. If you can get the PowerPak used for less money than the N8 costs, then I see that as a perfectly fine option. The PowerPak is perfectly capable of playing games, you might not even care about the added features of the N8. I have a PowerPak and it's been great. The FDSSTICK is only for FDS games. It's not a good choice if you want a flash cart for NES/FC games. • Some SNES carts contain a special enhancement chip or co-processor. Popular examples would be the GSU (aka Super FX) found in Star Fox and Yoshi's Island, the SA-1 found in Super Mario RPG, the DSP1 found in Super Mario Kart, or the S-DD1 found in Star Ocean. They are proprietary hardware, you can't buy them. For this reason, it's not easy implementing the ability to play such games on SNES flash carts. There are exceptions, however. 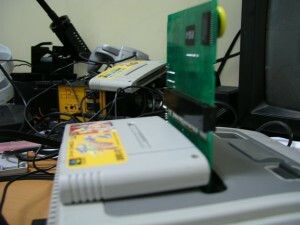 • The DSP chip is able to be used with SNES flash carts. Either directly on board the cart, or through a piggyback fashion. It's because the DSP is the only enhancement chip that doesn't control access to the ROM data. However, some flash carts steal the DSP chip from a real SNES cart to gain this ability, which puts said SNES cart out of commission. • Some SNES flash carts were made before the cloned SNES lockout chip was created, but have since updated to it. If you're buying second hand, you might want to check to see what kind of lockout chip it has (if any). If you're buying new, don't worry, as far as I know all SNES flash carts now have the cloned lockout chip. • The limitations of the clone CIC: The clone CIC will allow you to boot a cart on any region consoles. However, some games have a region check in the ROM data that is separate from the lockout chip ("This game is not designed for..." message). These games can be patched to remove the region check. You only have to worry about this when trying to play NTSC-U/J games on a PAL consoles, or vise versa. Price: $60 (plus shipping from China) - Looks like the Super Flash Cart is no longer available, but I will keep this info up anyway. *Update: There's a project that I stumbled upon. It's a USB programmer with software for the Super Flash Cart. This is not offered from Tototek, so your mileage may vary. This flash cart is not nearly as user friendly as newer SNES flash carts, but I feel like it can still be a good option. It now contains the clone CIC lockout chip, which all current SNES flash carts use, but that's just about all it shares with newer SNES flash carts. It's worth noting that the Super Flash Cart now includes the clone lockout chip that works in every region, but it didn't use to. If buying used, you may want to find out what lockout chip is installed on it. 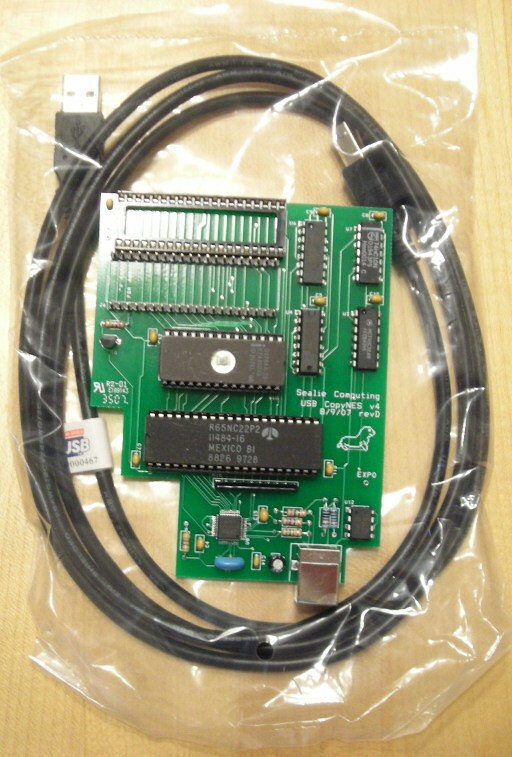 Older versions would include NTSC-U/J lockout chips only, and PAL users would have to install the lockout chip themselves, or otherwise use the T-connector (more details on the T-connector below). The most obvious problem with this flash cart, by today's standards, is no removable storage. As already explained, newer flash carts use memory cards (like SD or CF) in which to store game ROMs. The Super Flash Cart does not. It has internal memory. You get 64Mb to store game ROMs, and that's all you ever have. This has two drawbacks. One, the obvious, is the limited size. SNES games can range from 4Mb to 48Mb (that's Megabits, not MegaBytes). So while it's big enough for the largest officially released games, it's not big enough to hold your entire game collection at once. You can hold a max of four games at once. That means any time you want to put different games on the cart you have to reflash it. And two, since there's no removable media, there's no chance to easily update the cart. But don't worry, this cart is so limited in features that updates wont do you much. You can load a maximum of four ROMs to the cart at once, as long as they don't exceed 64Mb in size. If you load just one ROM onto the cart, when you put the cart in your SNES and power it on it'll boot right to the game (flash carts that use removable media to store games will always boot to a menu first). If you put more than one ROM on the cart at a time, when you power it on you'll be presented with a menu to chose which game to load. You're not only limited in the number of games you can store on the cart at once, you're also limited to holding just one SRAM file at a time. That sounds horrible, I know, but consider most of the time you're only going to have one ROM stored on the cart at a time, only being able to have one SRAM doesn't matter so much. So what do you do about the limit of one save file at a time? Let me get back to that. A programmer is needed to flash the cart. It's really simple, though. Think of the flash cart as an SD card, and think of the programmer as the card reader you'd use for the SD card. The only real problem with the programmer is that it interfaces with your PC via a parallel port (needs to support EPP mode). Remember how you use to hook your printer up before USB? It was with the parallel port. Unless you have an old computer, chances are good that you don't have a parallel port. If you have a desktop, you could probably get an add-on card. The programmer requires its own software in order to work. You use all the programmer's functions with the software. I know that the software works on XP, but I have no idea if it works on Vista, 7 or 8. So this all sounds complicated, but it really isn't. Plug the programmer into your computer, both parallel and USB cables (parallel cable is for data, USB is just for power). Plug a SNES cart or the Super Flash Cart into the programmer. Launch the software for the programmer. Now choose to read ROM data, read/write SRAM, or flash game(s) to the Super Flash Cart. Remember how I said you can only hold one SRAM save at a time? This is how you work around that. The programmer can read and write the SRAM on the flash cart. So, if you want to switch to another game, you can backup the SRAM and store it on your PC. You can also write the SRAM back to the flash cart. What's more, you can use legit SNES carts with the programmer. You can dump ROM data (create your own ROMs from your carts). You can also read and write the SRAM on legit carts! This means you can back up your saves, and restore them if needed. You can change batteries without losing your saves, or just back them up in case. You can swap the SRAM between legit carts, the flash cart, and emulators! Although, emulator saves might need to be converted first. This has many benefits. If this is something that interests you, read my mini review of the Retrode below! 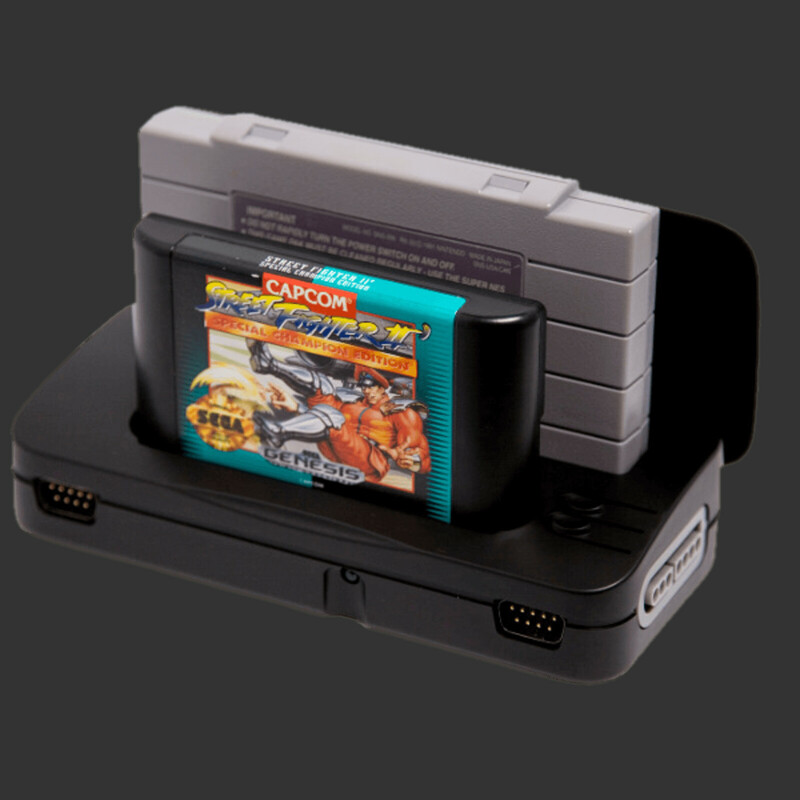 The Super Flash Cart can optionally support DSP1 games with the T-connector (sold separately). Here's how it works: You plug the T-connector into your SNES, plug the Super Flash Cart on top of the T-Connector, then plug a legit cart that contains the DSP1 chip (but not SRAM) into the side of the T-Connector. The T-connector piggybacks the DSP1 for use with the flash cart. This might seem... well... lame, clunky, etc. Who wants that monstrosity plugged into their SNES? Well, I can say one positive thing about it: You don't have to rob the DSP1 chip from a legit cart like you do with other SNES flash carts. Why does that matter? Read my thoughts about preservation below this post. Note: The T-connector use to also be used for the lockout chip. The Super Flash Cart now has the cloned lockout chip that works on any region, so you no longer need to worry about that. The Super Everdrive is a huge improvement over the Super Flash Cart from Tototek. It is a perfect example of today's flash carts. You load the OS and games onto your SD card, put the SD card in the flash cart, put the flash cart in your SNES and play! The Super Everdrive supports ROMs up to 56Mb in size. This is larger than the largest officially released SNES game (48Mb). So in short, it supports all official SNES games (with the exception of those that use special enhancement chips). Since the OS is loaded from the SD card, updates are possible and easy. Features can be added, bugs can be fixed, ect. The Super Everdrive automatically handles SRAM saves. They're stored on the SD card, and don't require you to hold reset or anything. The Super Everdrive v2 supports Game Genie codes. You can input up to 8 lines of code, which is 3 more lines than the actual SNES Game Genie! The Super Everdrive can optionally include a USB port for developers. This means much quicker loading of code for testing. This isn't something that's very useful to some one other than a developer, which is why it's an optional feature. The menus are very simple and basic. However, they're perfectly functional and flashy looking menus aren't needed for your flash cart to work. It would be nice to have something prettier to look at, but it's not something that I would take points away from the cart for. In order to support DSP1 games, you need to install a DSP1 chip on the Super Everdrive. This means you need to steal the DSP1 chip from an actual SNES game, putting it out of commission. If you plan to "borrow" the DSP chip from a cart in your own personal collection, which you can always restore, then I don't see a problem there. However, if you're buying the cart from some where that installs the DSP for you, there's a SNES cart out there that no longer works. I bet they throw it in the garbage. You can read my thoughts about game preservation below this post. UPDATE: This bit about DSP1 support is no longer true. As far as I can tell, you now have two options when purchasing a new Super Everdrive. 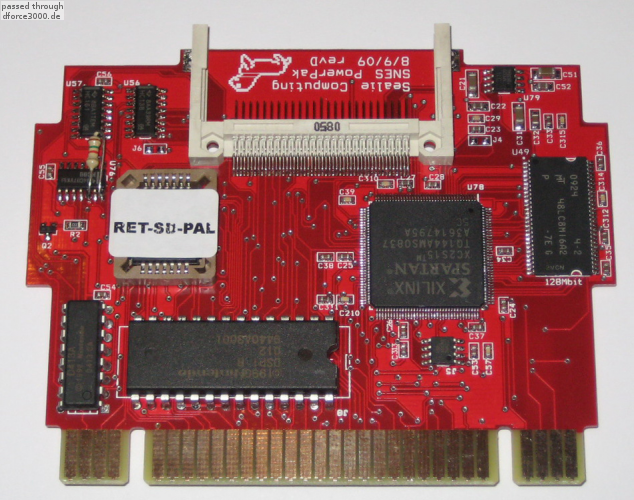 The standard version, of which a DSP chip from a legit SNES cart can be installed but is not included (not recommended), or a version with a DSP module that adds support for all the DSP chips. Judging from the pictures, it looks like the DSP version of the cart adds another FPGA which handles the DSP chips. If you want DSP support, you should get this version of the cart. Speaking about preservation, these flash carts are produced without cart shells. Although you could use them with OUT a shell, it's not advised. You want the plastic shell for protection. The shells have to be stolen from real SNES carts. It looks like most of Krikzz's flash carts come with newly produced cart shells, so you no longer have to steal them from real carts. It's unclear to me if the Super Everdrive does indeed include a newly made shell, or a stolen one. But it's worth pointing out that Infinite NES Lives shells new SNES cart shells. This overview of the SNES PowerPak assumes that you have read above about the Super Everdrive. You more or less get the same functionality from the SNES PowerPak that you would from the Super Everdrive. 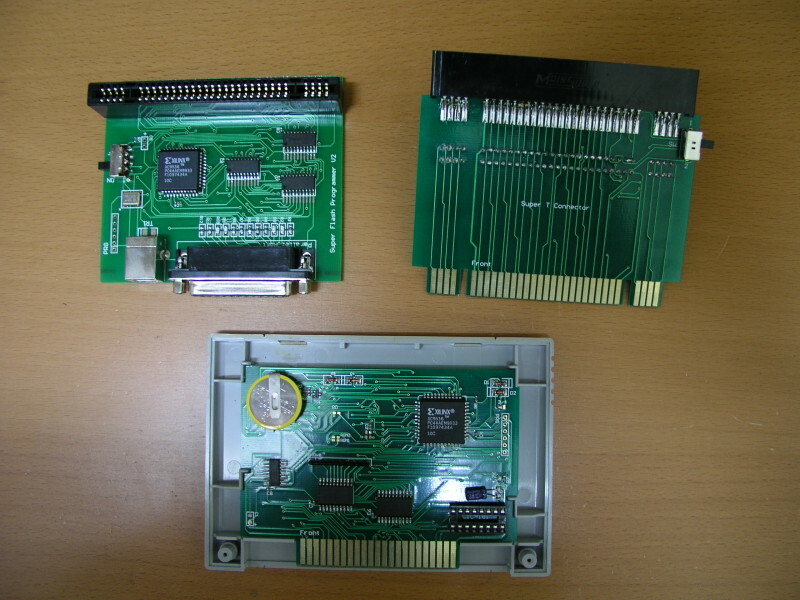 The major differences are: The Super Everdrive uses SD or MMC cards while the SNES PowerPak uses CF cards. The Super Everdrive supports 8 lines of Game Genie codes, the SNES PowerPak supports 5 lines. They both have simple menus, but I think the Super Everdrive's menus are much more pleasant to look at. The Super Everdrive supports a max ROM size of 56Mb, while the SNES PowerPak supports a max ROM size of 96Mb. The biggest difference, in my opinion, is that SRAM is handled automatically with the Super Everdrive while it's manual with the SNES PowerPak. The SNES PowerPak works much the same as the Super Everdrive. You load the OS and ROMs onto the CF card, put the CF card in the PowerPak, put the PowerPak in your SNES and play. Because the OS files are stored on the CF card, they're easily updated. The SNES PowerPak supports a modified version of Star Ocean. The largest officially released SNES game was 48Mb, but the SNES PowerPak supports a max ROM image of 96Mb. You might be thinking, "So, what?" Well, the only real benefit you get from that right now is Star Ocean. This game was not released outside of Japan, but has since been translated by fans. However, the game uses the S-DD1 enhancement chip, which is not currently supported by any flash carts. But, there's a hack that decompresses all the graphics, removing the need for the S-DD1 and making it playable on the SNES PowerPak. However, since the graphics are decompressed, the ROM size becomes 96Mb (which is double the size of the largest officially released game). So it's only playable on a flash cart that can load a ROM as big as 96Mb. Like the NES PowerPak, SRAM is not handled automatically. For each game that requires SRAM saves, you need to manually put an SRAM file on the CF card. You need to manually rename the file the same name as your ROM, so that it'll automatically load with the ROM. To back up the SRAM to the CF card, you need to hold reset on your SNES for 5 seconds to go back to the menus. I don't mind having to manually add the SRAM files to the card, although a lot of people find it very annoying. But I really don't like how they're not automatically backed up to the card. It gives you the possibility to accidentally lose your progress. 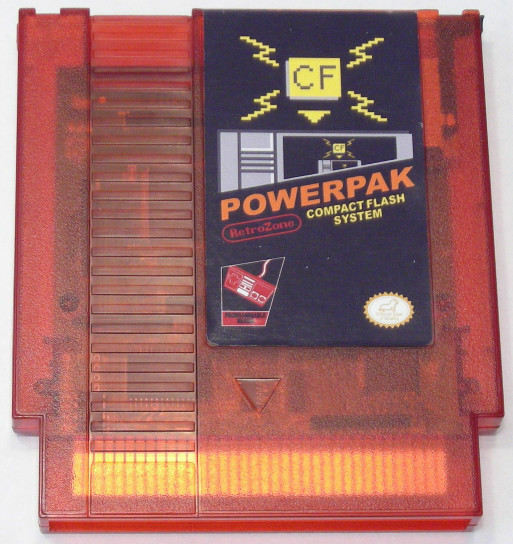 I go into more detail about this in my overview of the NES PowerPak. The menus are very basic, similar to the NES PowerPak. I own the NES PowerPak, and wasn't bothered too much by the simplistic menus. However, for some reason I find them to be worse on the SNES PowerPak. The menus can just be hard to look at, especially when browsing for games. There's also a limit to the amount of characters that can be displayed for each file, making navigating through your game list that much more difficult. It makes giving descriptive names to game hard, especially if you want to have multiple versions of the same game. **However, there's an unofficial upgrade for the SNES PowerPak that gives us MUCH better looking menus, and some other nice features as well. It requires you to not only update the OS files on the CF card, but also the boot ROM (which can now be done with just the CF card). For any SNES PowerPak owner, I highly recommend upgrading to this custom firmware. The menus are MUCH better to look at. The font is easy reading, the menus can display more characters for each file name, the menus work more intuitively. There's a small amount of customizing you can do to the menus (a few different backgrounds to choose from, different cursors, etc). There's some other improvements as well, like better load time, but the main attraction is better looking menus. The creator of the new menus is also looking into automatic SRAM creation. From what I've read, it was unclear to me if he was looking into how to have the flash cart automatically create the SRAM file, automatically backup the SRAM file, or both. Like I've said, I don't mind so much having to manually add the SRAM file, but I hate not having it backed up automatically. That would be a great feature to add. The SNES PowerPak does not automatically sort files. When browsing your games on the CF card using the PowerPak, they will not be alphabetized. This is very annoying, although there's a simple fix. You can get a very simple drive sorting app. They're easy to use. On your PC, you just launch the app and tell it to sort the CF card (or specify a folder, like your games folder since that's the only one you'll really need to have alphabetized), hit a button, and done! It takes all of a few seconds. Hoever, it IS an extra step, and having files sorted automatically would be more convenient. *Like the Super Everdrive, the SNES PowerPak can support the DSP1 chip in the same way. When the SNES PowerPak was first released, you had the option whether or not to include the DSP1 chip preinstalled (if you chose not to include it, you could add it yourself if wanted). But for a while now, it is sold with the DSP1 chip already installed and you do not have an option not to include it. That's great that it can support DSP1 games, but the DSP1 chip has to be stolen from a real cart, making that cart no longer function. You can read my thoughts about game preservation below this post. When the SNES PowerPak was first released, it did not include the cloned CIC lockout chip. So if you're buying second hand, you'll want to ask if it has the clone CIC or not, and if it has the DSP1 installed or not. With the exception of the DSP1 chip, the SNES PowerPak is made using 100% brand new parts. Some flash carts require you to, at the very least, steal the plastic cart shell from a real game cart. The SNES PowerPak, like the NES PowerPak, use a brand new cart shell. And it's a pretty cool looking semi-transparent red. The Sd2snes is by far the most powerful and advanced SNES flash cart to date. It has mostly the same features of other SNES flash carts, but it's main attraction is support for enhancement chips other than the DSP1. It currently supports the DSP1, DSP2, DSP3, DSP4, ST-010, Cx4, MSU1, S-RTC, OBC1 and Super FX. Support for more enhancement chips, and more features, are likely to be released. The creator of the Sd2snes has made all the necessary info available and has invited the community to work on implementing features. We've seen unofficial updates from the community for other flash carts, we're likely to see them for the Sd2snes as well. Update: As of 7/15/18, RedGuy (who implemented Super FX) is currently working on getting SA-1 working. Someone else has posted their work on S-DD1 on an FPGA. The Sd2snes was created by ikari_01, who is also still working on updating the software. He does not manufacture them, however. The Sd2snes is mostly manufactured by Krikzz, the same guy that makes the Everdrive flash carts. But ikari shared the entire project on GitHub. You are welcome to construct your own Sd2snes if you want. Currently, the Sd2snes does not support any cheat codes. Hopefully Game Genie and/or Action Replay code support will be added soon. It's on his "to-do" list. In one of ikari's recent posts, he said that he's currently working on implementing support for both Game Genie and Action Replay codes. Update: I tested GG codes and they're working. You can turn them on/off with an in game button combo. I think we're waiting for a proper selection screen in the menu. The Sd2snes works much like the Super Everdrive and SNES PowerPak. The OS, games and saves are stored on an SD card. SRAM is handled automatically, with a few exceptions. It has the same clone lockout chip other SNES flash carts have. The Sd2snes has auto region patching capabilities. As mentioned above, some games have a region check in the game's code which is separate from the lockout chip. This only becomes a problem when trying to play PAL games on an NTSC-U/J console or vise versa. These games can be hard patched to overcome this problem on other flash carts. The Sd2snes can auto patch these problem games for you. The menus looks decent. Definitely a lot better than the archaic menus of the PowerPaks. Files are auto sorted, there's no need for a sorting app like with the PowerPaks. Ramsis, the same guy that made CFW for the SNES PowerPak, has also tweaked the menus for the Sd2snes as well. However, he has not released anything yet. Here's a quote taken from him in September of 2013: "I fiddled around with the SD2SNES source a few months ago, and actually came up with a new menu design just for my own pleasure. But even though ikari_01 approved my efforts and asked me to help with a theme selector, I haven't had the time for that so far." The Sd2snes has other capabilities, this isn't a full write up. Which SNES flash cart would I recommend? If money is no problem, then go with the Sd2snes. It is simply the best SNES flash cart available right now. However, at about $190, it's not for everyone. If you're unwilling or unable to spend that much, you still have great options. If you're on a budget, if the limitations don't bother you, and if you have a parallel port that you can use for the programmer, then you might consider the Super Flash Cart from Tototek since you also get the added benefits of the programmer. However, consider that you'll be paying for shipping from China (unless perhaps buying used) and that the Super Everdrive is only $79 plus shipping from within the USA (depending where you buy it). Since the Super Flash Cart might end up costing just as much as the Super Everdrive, you'd have to consider that. If you don't care about the added benefits of the Super Flash Cart's programmer, then I suggest you get the Super Everdrive instead. If you're on a budget, the limitations of the Super Flash Cart piss you off and/or you don't have a parallel port to use for its programmer, then your best choice is the Super Everdrive. If you're interested in the added benefits of the Super Flash Cart's programmer but you don't have a parallel port, then check out my mini review of the Retrode! Sadly, if buying new, I can't recommend the SNES PowerPak. It's not that I don't like it, it's just that the price doesn't make sense. At $145, you're MUCH better off spending the extra $45 for the Sd2snes. Since the only added benefit you get with the SNES PowerPak over the Super Everdrive is the ability to play the decompressed Star Ocean, and the Super Everdrive has many benefits over the SNES PowerPak, it doesn't make sense to spend the money on the SNES PowerPak. Either go with the Super Everdrive or the Sd2snes. At least, that's my opinion. There's also the chance of buying used, though. For example, I was able to pick up a SNES PowerPak used for a little cheaper than the Super Everdrive costs, so I jumped on it. The person who sold it to me was looking to upgrade to the Sd2snes, and I was looking to upgrade from the Super Flash Cart. It was a win-win for the both of us. If buying used, then you'll just have to use your own judgment on the price versus the features the cart has versus the features you want. This tool cost an additional $20, and requires a 64drive to work. 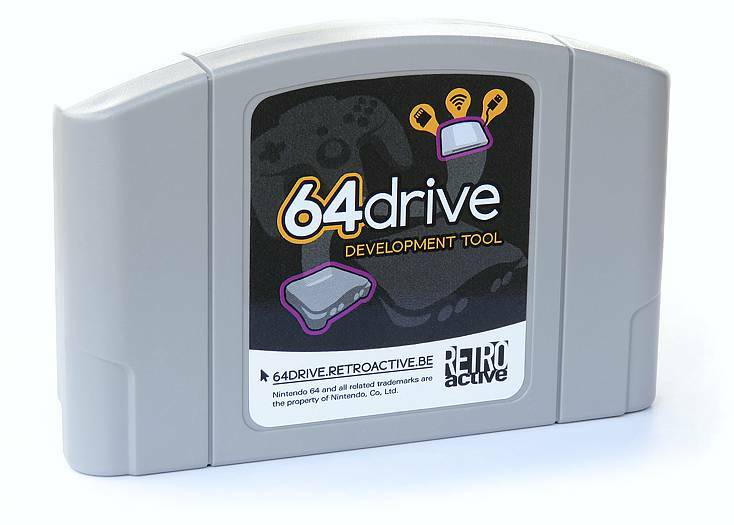 Unfortunately, you cannot use it with a 64drive, it appears to re-purpose some of the hardware in the 64drive to funtion. It works similar to the Retrode. The Everdrive GB works very similar to other Everdrive carts. Review to come eventually. If you're willing to right a review for this flash cart, please let me know! IF YOU ARE INTERESTED in the MD Pro from Tototek, please read below about the FlashKit MD from Krikzz. It is a very similar product, only it doesn't require a parallel port (it uses only USB). The 64M and 32M seem to be exactly the same, the only difference being the size of the internal memory (64Mb versus 32Mb). Remember that 32 Megabits is equal to 4 Megabytes. The MD Pro Tototek flash carts works just like to the Super Flash Cart from Tototek, which is reviewed above. I suggest you read the Super Flash Cart review to get an idea of how it works. edit: The new FlashKit MD from Krikzz is another very similar device for the Genesis / MegaDrive. It works the same way, but does not require a parallel port. Important note on the flash carts below. Krikzz has implemented a new nomenclature for his Genesis / MegaDrive flash carts. They were formerly the Mega Everdrive and the Everdrive MD. The Mega Everdrive is comparable to the new X7, and the Everdrive MD v3 is comparable to the X5. Comparison tables can be found in each spoiler tag. The FlashKit MD works very similar to how the Tototek flash carts work (read my review above for the Super Flash Cart). The huge difference is that the FlashKit MD uses only USB, while the Tototek carts required a parallel port (which modern computers do not sport). The FlashKit MD consists of a programmer and a flash cart, both sold separately. This is great that they're sold separately, you may only want the programmer. Or you may want multiple flash carts. The programmer interfaces with a computer via USB. It requires software. The software is tested only for Windows OS, but Krikzz says that it's written in C# so it should work in OSX and Linux if you use [urlhttp://en.wikipedia.org/wiki/Mono_%28software%29]Mono[/url], although it is untested. You can use legit Genesis and Mega Drive carts with the programmer. You can read the ROM data, as well as read and write the save data. This means you can back up your save data from your legit carts. You can transfer saves between carts, emulators, flash carts, ect. The programmer will also flash games to the FlashKit Cart. This flash cart can be thought of as an Everdrive MD Lite. You can flash one game to it at a time (max ROM size of 32Mbits). I'm also assuming that there will be no menus or anything. You flash a game to the cart, put the cart in the console and the game starts right up (exactly like a legit cart would). 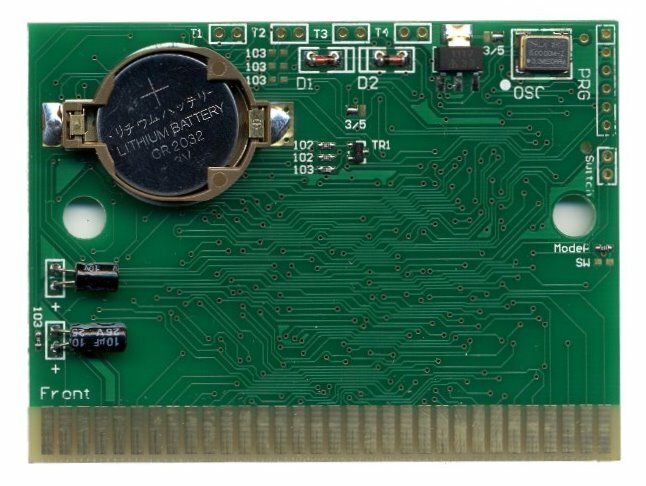 The flash cart currently does not support saving, but if you look at the board there are empty spaces for SRAM and a battery. On Krikzz's forum, he stated that these components will be added. The programmer is $58 and the flash cart is $9, so once saving is implemented you could get yourself a perfectly fine Genesis/Mega Drive flash cart for only $67. Considering that the Everdrive MD (the next cheapest Gen/MD flash cart from Krikzz) is only $20 more and has many more features, it's not really worth it. However, if you consider the benefits of the programmer (like being able to read/write save data from carts) and you don't care to have more than one game on the flash cart at a time, then the FlashKit MD is for you. When asked on his forums, Krikzz stated that a future SNES version is possible. If you're interested in the idea of what the programmer can do, check out my mini review of the Retrode. This flash cart works very similar to the way other Tototek flash carts work. One notable difference is that the programmer is built into the flash cart (which is usually a separate piece of hardware). Until a review is written for this cart, I suggest reading my review (above) for the Super Flash Cart from Tototek, since they work in the same way. Last edited by Ziggy587 on Fri Jan 04, 2019 9:27 am, edited 71 times in total. 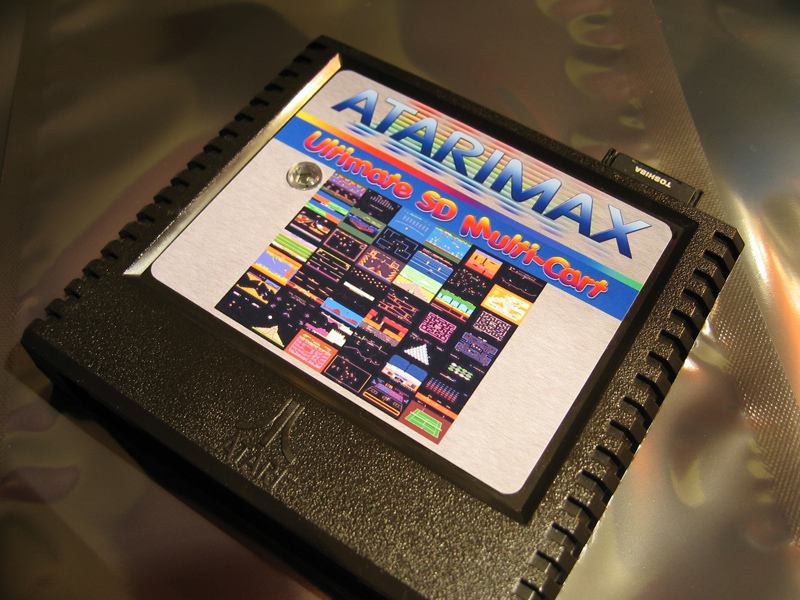 As far as I can tell, this is the only flash cart available for the Atari 2600. So if there's anything to complain about, it's not like you have a choice. And since it's the only 2600 flash cart available, there's nothing to compare it to (which is the sole purpose of my reviews). That being the case, I'm basically just copy and pasting info here. I'm only putting this here because I aim to have a complete list of all available flash carts. The Harmony cart works very similar to most modern flash carts. Games are stored on removable media (SD or micro SD, depending on which version of the cart you get). But unlike most modern flash carts, ONLY games are stored on the SD card. Any firmware and OS files are on internal storage. Thankfully though, they made it possible to update the firmware. When an update is available, you plug the Harmony cart into a computer via USB to flash the new firmware to the internal storage. The only con I can see is that files are not automatically sorted. Just like the PowerPak flash carts, when you browse to your games folder, the games will be listed in whatever order you copied them in. And just like the PowerPaks, there's two easy fixes. One, copy all your games to the SD card at once. The only problem with this is if you already have games on the SD card then wish to add more. You'd have to delete them all then recopy them all. The other fix is to use a drive sorting app. SD version: The SD version of Harmony is available in Standard ($60) or Deluxe ($80) editions. The standard edition includes just the cartridge and a plain paper manual. You supply your own SD card and USB-mini B cable. The deluxe edition includes a color printed manual, a USB-mini B cable, and a 2GB (or larger) SD or SD-HC card. On the card are the programming software, drivers, online manual and homebrew games that you are encouraged to try such that you may one day purchase them from the AtariAge store. microSD version: The microSD version of Harmony is only available in the Standard edition ($60). If you desire the Deluxe edition, look at the SD version of Harmony. The standard edition includes just the cartridge and a plain paper manual. You supply your own SD card and USB-mini B cable. 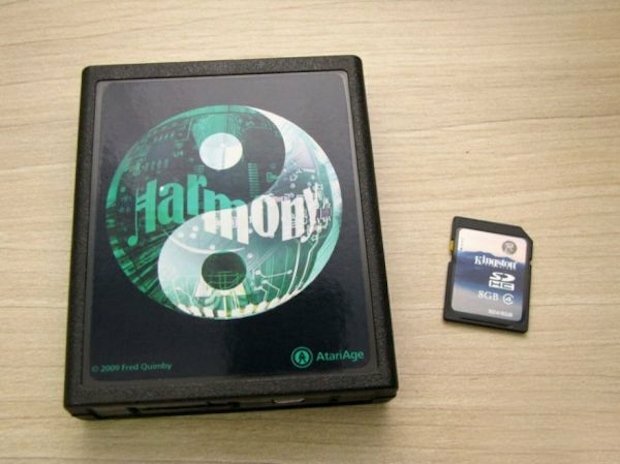 Encore: Harmony Encore ($85) is a special Harmony cartridge that supports games up to 512k bytes. This includes the modern homebrew games that are too large to be played on the Harmony cartridge. While Harmony will play at least 98% of all Atari 2600 games, the Harmony Encore targets 100% of them. For just a little more, you can future-proof your Atari 2600 gaming needs! Currently, Harmony Encore is only available in a Standard edition, in either SD or microSD versions. This includes just the cartridge, a plain paper manual, and an addendum that highlights the new features. You supply your own SD card and USB-mini B cable. So there you have it. The original Harmony cart supports about 98% of the 2600 library, the Encore edition aims to support 100% of all 2600 games. If you want more info, I suggest you check out the links on this page. The online manual has a lot of info, and I'm sure the forums have even more. Just like the Harmony cart above, as far as I can tell, the 5200 Ultimate SD has no competition. When looking for 5200 flash carts, I became aware of a few others but it is unclear to me if they're still available for purchase. And even if they were, they would be completely out shined by the Ultimate SD. The 5200 Ultimate SD seems to work like any recent flash cart. Put some ROMs on an SD card, put the SD cart in the flash cart and play. OS and firmware can be updated from the SD card. The menus look fantastic. Seriously, check out the video in the link. I think other flash cart developers should take a note from this guy. There's an options page that looks like it has some useful things. There's an options screen where you can customize the look of the menu some (like sounds and color) and turn on/of several of the flash cart's features. Files will be auto sorted alphabetically. A lot of flash carts for older consoles are designed in a way that makes auto sorting not feasible. It's much appreciated that this cart was designed in a way that allows for a nice menu system with auto file sorting. The price tag might be toward the higher end of what we're use to paying for flash carts these days, but considering the features of this cart, it looks like it would be money well spent. It's definitely well designed. And while I haven't ever examined one in person, I would assume that it's well made since it boasts a life time replacement warranty. If the cart ever stops working (with the exception of misuse) you can have it repaired or replaced at no cost. NeoSD AES is the first flash cartridge available on the market for the legendary NeoGeo AES. Compatible with all the official catalogue, in addition to any homebrew game, this is the perfect device for getting everything you can out of your favourite game console. A simple and intuitive graphic interface, fast menu browsing. You can filter your games by genre or create your own lists of favourites. You can access the menu from the game screen by means of a simple combination of customizable buttons. Regular cartridge software updates free of charge. You can choose the game region with no need for any other accessory; it is also compatible with Universe BIOS (UniBIOS). Compatible with game consoles from any region. 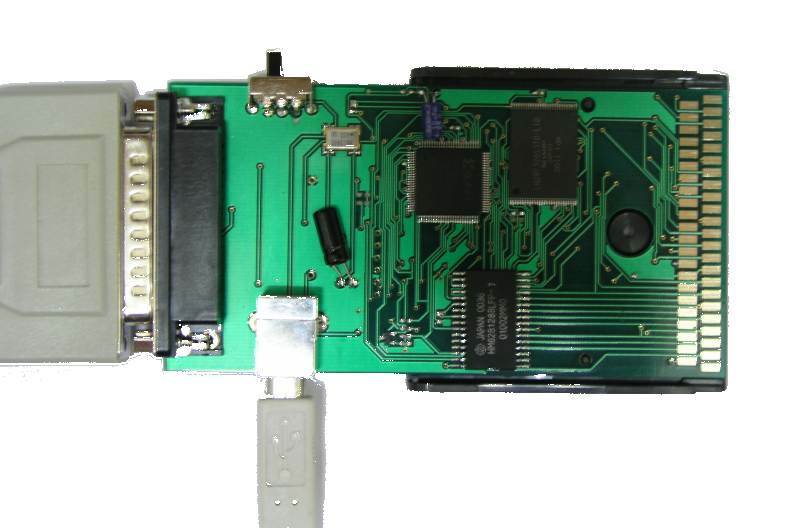 NeoSD MVS is the first flash cartridge available on the market for the legendary NeoGeo MVS arcade board. Compatible with all the official catalogue, in addition to any homebrew game, this is the perfect device for getting everything you can out of your favourite system. Compatible with any MVS board model, including multi-slot boards. You can choose the game region with no need for any other accessory; it is also compatible with Universe BIOS (UniBIOS). Compatible with boards from any region, allowing AES mode gameplay with no need to modify the BIOS. Do you know of any flash carts that I'm missing? I am aware of a few flash carts that I haven't listed yet (like Atari, Infinite NES Lives, and a few others) but I'm sure there's more that I don't know about. I'm not really interested in anything that's massively out dated and isn't readily available for purchase in either the new or used market. If you'd like to write a review for a flash cart, please let me know! Reviews don't have to be large, I'm really only looking for the major pros and cons for each cart. Last edited by Ziggy587 on Thu Nov 15, 2018 1:14 pm, edited 13 times in total. What is an optical drive emulator? An optical drive emulator, or ODE, is exactly that. It emulates an optical drive. This is sort of a broad term, but for our purposes it really boils down to just one thing: A way to boot games on a console other than the optical disc drive. I'll use this section to list any alternative method of booting games on disc based console, even if it isn't technically an ODE. Generally, an ODE is a piece of hardware that physically replaces the optical disc drive in a console. However, there are some consoles that have alternative boot methods (usually through software) that leave the optical drive intact. I think I'll split it up into hardware ODE and software alternative boot methods. Adding this section is way over due. I'm more or less just going to dump info here, then hopefully clean it up over time. GDEMU is compatbile with VA1 model Dreamcasts from all regions. IMPORTANT: VA2 model is not compatible. Mating GDEMU with VA0 model mainboard is possible but will cause permanent damage to the device. See installation instructions. Phoebe is compatible with all model Saturns from all regions that use 21-pin drive (but requires correct configuration for each specific console type). IMPORTANT: 20-pin drive models are not compatible – see Rhea. IMPORTANT: Images based on CUE sheets are not supported. Rhea is compatbile with all model Saturns from all regions that use 20-pin drive. IMPORTANT: 21-pin drive models are not compatible – see Phoebe. Loads disc images from an SD Memory Card. Supports SD Cards ranging anywhere in between from 8 GB (SDHC) to 512+ GB (SDXC). Supports hot swapping of SD Cards within the Menu System. Easily select software using a clean, simple and functional Menu System design. Software images load instantly with no “Copy to Memory” routines unlike other Flashcarts. Compatible with 99.8% of all software titles. All firmwares are locally upgradeable. No special cables or dongles are required. To select a new software image, simply hit ‘Reset’ on the console and re-select an image from the Menu System. Supports CDDA and XA audio channels. Supports loading of disc images via USB (Windows only). A Switch Board kit is included free with each cartridge purchase (wire and label also included). Supports BIN, ISO and IMG files. Future additional features can be added due to the endless update abilities of PSIO. Smooth, easy to use Menu System with many useful shortcuts and options. Clean simple layout combined with 2D and 3D graphics. Displays custom ‘Cover Art’ images. Supports switching of Video Modes in real-time. Has real-time sound effects and background music. Multiple colour selector bar options. Has a built-in search function. Allows either classic western or Japanese PlayStation button navigation. Dynamic or automatic detection of the HC05 license type. Displays advanced PlayStation information such as the BIOS type and checksum. Enables Fastboot support (skipping of the Sony BIOS for quick boot times). Allows booting of original discs from the CD-ROM drive. Supports full custom centring of the screen position. Takes advantage of DUAL-SHOCK controllers by vibrating whilst navigating. Can display a custom background (wallpaper). Supports Multi-Tap, DUAL-SHOCK and Lightgun peripherals. This little device can replace the entire drive of a Famicom Disk Drive system. You still need the RAM adapter, however. Contains 256Mbit internal flash. Enough space to hold every FDS game and more! Loads a built-in game menu on startup. There are a number of alternative boot methods available for the PS2. Most of them involve utilizing various apps via Free MCboot (FMCB), which is a sort of soft mod for the PS2. Last edited by Ziggy587 on Sat Dec 15, 2018 3:22 pm, edited 12 times in total. Last edited by Ziggy587 on Thu Jun 15, 2017 9:56 pm, edited 2 times in total. I'll be dumping a bunch of stuff here for the meantime, but I'll tidy it all up when I get the chance. There are now a number of items available so you can make your own homebrew / repro carts using all brand new parts (no donor carts or donor parts required). Some require soldering, and some require no soldering whatsoever! No soldering required, these boards are fully assembled. The catch is you need a programmer to be able to write the games to the cart. The programmers are specific to the carts they are intended for. The upside is that you only have to purchase the programmer once, and you can program an infinite amount of carts with it. You can even reprogram these carts. In this sense, these are technically flash carts. But since they're only intended to have one game on them at a time, they're mostly intended to be used for repros. These days, the Internet tends to view a flash cart as something you can dump an entire ROM set onto an SD card and choose any game from a menu system. The process of flashing these carts is very similar to how the Tototek flash carts work. I went over this process in the first post for the Tototek Super Flash Cart. often times they have additional benefits such as being able to read (dump) the ROM from authentic cartridges, or read/write the save memory from authentic cartridge. If you're interested in the ability to dump your own ROMs, or being able to backup/restore save games from carts, check out the Retrode. Maybe more on that site, he has a lot of stuff and I haven't searched through it all yet. A number of PCBs can currently be found on eBay. Just search "[console name] PCB". Quality may vary. Cart shells can be found on Amazon, and quite a few of them are Prime eligible. I've seen Genesis, SNES, NES, and GB. Likely to be more. They're probably also on eBay, but I've happened to find more on Amazon. A number of shared projects can be found on OSH Park and GitHub, more can probably be found elsewhere including forums. Instead of buying in stock items from a web store, you can have the PCBs manufactured yourself. The downside is there's usually a minimum quantity, but the upside is that it'll usually be a cheaper price per cart. Since these are not retail / ready made products, you will need a little know-how. They may not include instructions beyond a BOM (parts list). It will be up to you to make sure they're manufactured with the correct specs, et cetera. Note: 63mil (1.6mm) is the proper board thickness for Genesis carts, but this is too thick for NES and SNES. You will damage your NES/SNES cart slot with this thickness, if you somehow manage to insert the cart at all. OSH Park offers 32mil (0.8mm) board thickness, but this is actually too thin for NES/SNES (although I think it's the correct spec for GB/C/A). 0.8mm thickness will work for SNES, even though it is out of spec, but you may run into issues if your cart slot is worn. It's not recommended to have the board thickness out of spec. You can download the board files from OSH Park and order the correct board thickness from another manufacture (1.2mm). If you know of any PCB, cart shells, etc or shared projects that I have not listed above, please post links in this thread! Last edited by Ziggy587 on Fri Jan 04, 2019 9:57 am, edited 6 times in total. What is it? And what can I do with it? The Retrode is a fantastic little device that enables you to do some pretty cool things. 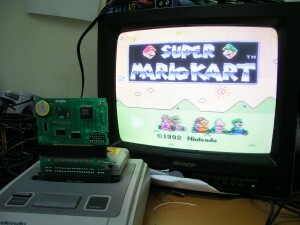 In short, it interfaces video game carts and controllers with your computer via USB. No drivers are required. The Retrode comes with a SNES/SFC and a Sega Genesis/MegaDrive cart slot, as well as two controller ports for said consoles. There's also the ability to use plug in adapters to support more consoles. The Retrode works similar to the way you'd use an SD card and card reader with your computer. You plug a cart into the Retrode, and plug the Retrode into your computer. The Retrode will show up under "My Computer" in Windows OS and you can browse it just like you would an SD card. You will find the ROM for whatever game cart is inserted. If the game uses saves, you'll also find the save file. The Retrode will allow you to use your original carts and controllers with emulators. If you set up an emulator correctly, you can use a cart directly with the emulator. You can even read and write game saves directly to the cart. The Retrode works not only with a PC, but basically anything that supports USB. Mac, Linux, Android, iOS, Raspberry Pi, Ouya, etc. There's some pretty neat videos on the net if you're interested. My favorite part about the Retrode is just the fact that you can have access to the ROM and SRAM on a cart. You can use the Retrode to copy the ROM from a cart to your computer (no, you can not write ROMs to a cart!) as well as read and write the SRAM on a cart. This means you can back up the saves from your carts, and restore them if need be! You can swap saves to/from a friend's cart. You could even transfer the save you were using in an emulator or a flash cart to a legit cart and vise versa! edit: Sadly, the Retrode isn't currently being produced. There's hope that some will be manufactured in the future, though. edit 8/27/15: The Retrode is currently available from Dragon Box! Used ones occasionally pop up on eBay, forums, et cetera. Plug-in adapters are available for purchase on the Dragon Box site. DIYers can make plug-in adapters. Schematics and board files can be found on Retrode website. Possibly more can be found on the Retrode forums. Some boards are up on OSH Park (links below). edit 4/14/19: The Retrode is now available from Stone Age Gamer! They also have the N64 and GBx adapters! In short, the USB CopyNES is a device that you install in your NES so that you can interface the console with a PC. Utilizing software on the PC side, you can do a few things. Here's the list from the RetroUSB website. If you are interested in dumping your own ROMs or backing up and restoring saves to carts, the Super UFO Pro 8 is also worth looking into. Check out this video review from My Life in Gaming for more information. Also worth noting is the RetroN 5. I've read that you can use one to backup and restore saves from carts. I've also read that with custom firmware you can dump your own ROMs. Unfortunately, I don't have any experience with the RetroN 5. If anyone can write something up it would be much appreciated. I want to cover how it can patch ROMs, dump ROMs, and backup and restore save files. Last edited by Ziggy587 on Sun Apr 14, 2019 7:49 am, edited 14 times in total. Don't forget a review of Game Gear flash carts. How else will you be able to play Shining Force Final Conflict on actual hardware in English? If there's a flash cart that in production right now, then I plan to write a review for it. Or at least, make it's existence noted. I am aware of the Everdrive GG, and the GG Pro from Tototek. If any one wants to contribute a review, please let me know! It will take me a long time to review every flash cart! Very nice thread. I will enjoy having all these in one location. Great reviews Ziggy, many thanks. I've had my eye on the N8 and SD2SNES for a while now.